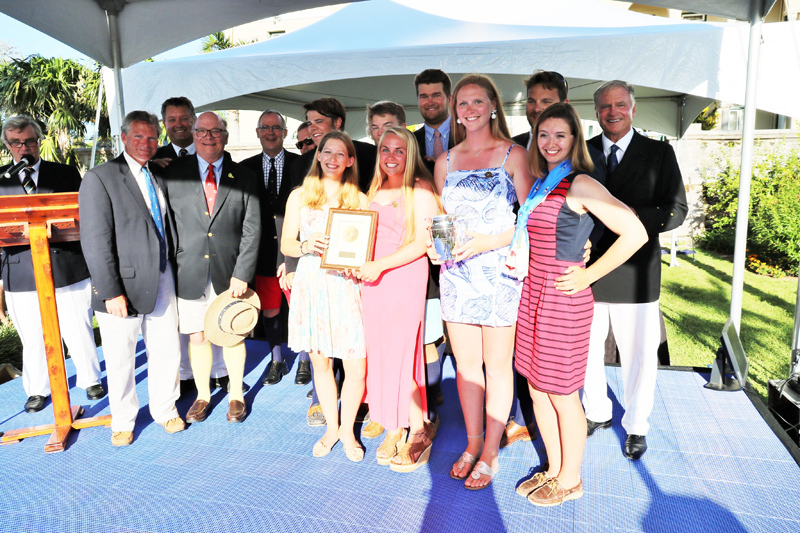 The prize-giving for the 2018 Newport Bermuda sailing race was recently held, with the top sailors recognized for their efforts in the 635-mile race. The organisers said, “His Excellency, the Governor of Bermuda, John Rankin, hosted the Newport Bermuda Race Prize-Giving on Saturday, welcoming hundreds of guests to the grounds of Government House and assisting with the presentation of more than 100 awards. 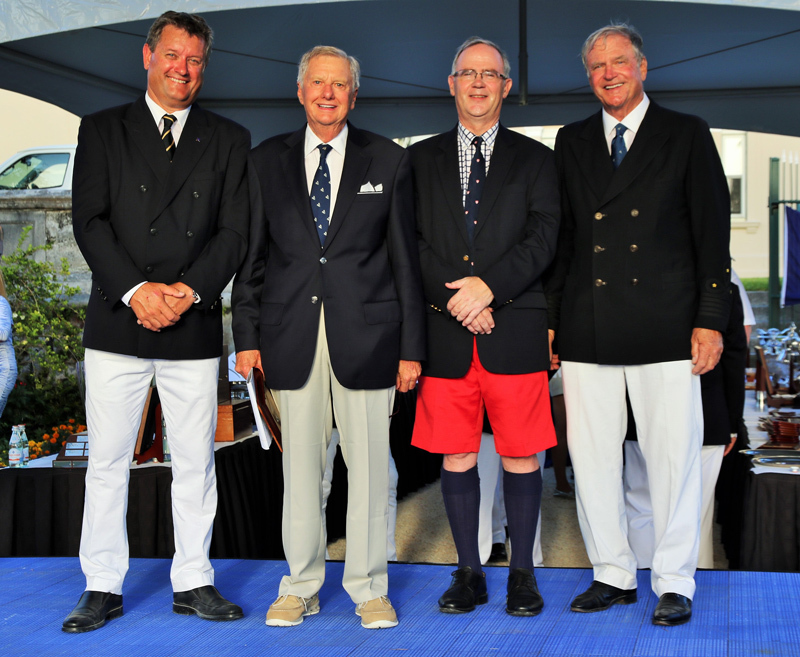 “It was a diverse, multi-generational group of sailors who came forward to receive prizes from the Governor and Jon Corless, commodore of the Royal Bermuda Yacht Club, and Brad Willauer, commodore of the Cruising Club of America. 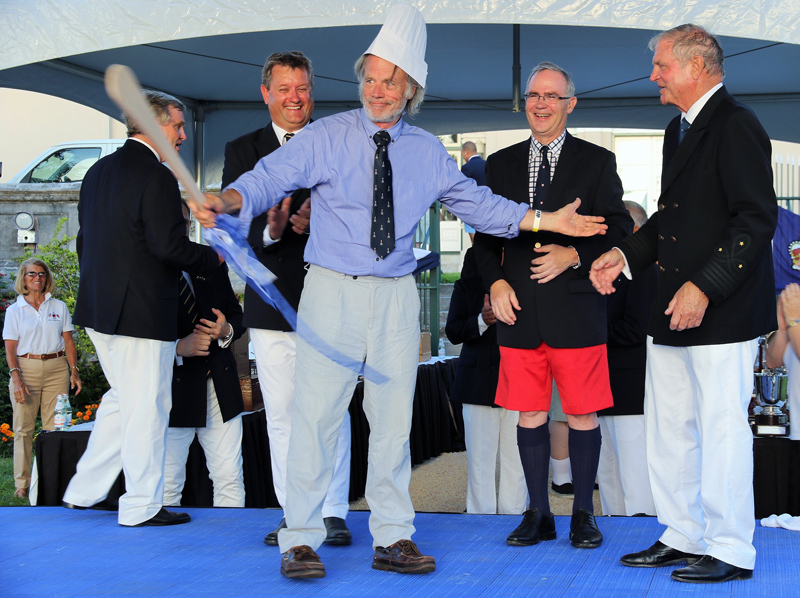 James Macdonald, the RBYC Honourable Secretary, served as master of ceremonies, presenting the entire nine-page prize list. 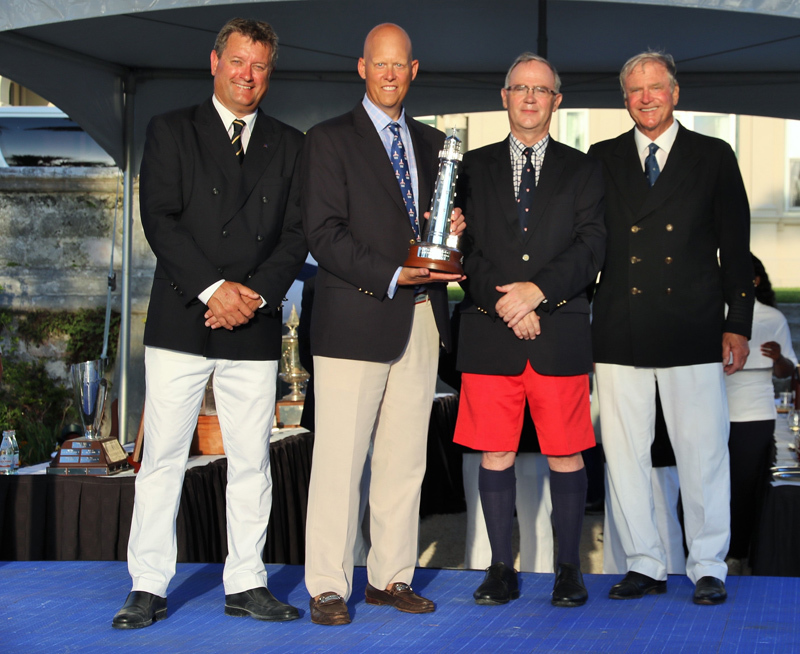 “Jim Grundy’s Grundoon won the famous St. David’s Lighthouse Trophy for the best corrected time in the largest division of 85 boats. 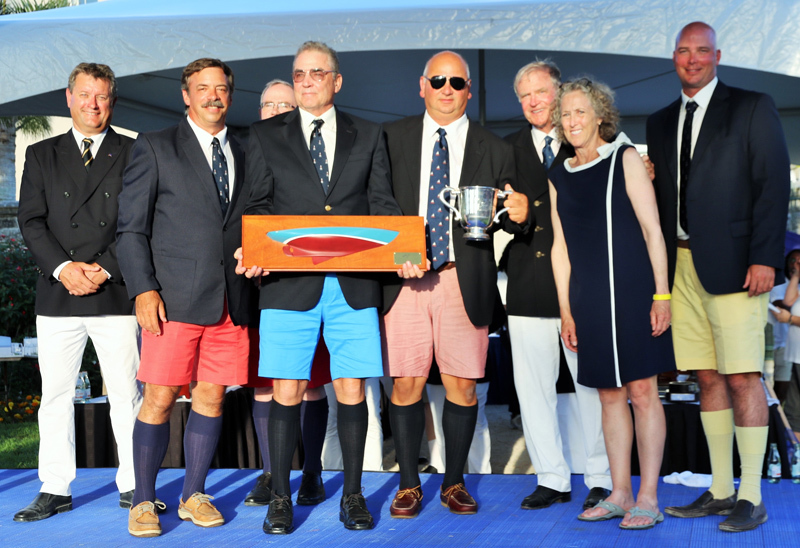 Sailing with one daughter and two sons in the crew, Grundy, of Doylestown, Penn., made off with half a dozen other trophies including the William L. Glenn Family Participation Prize and the Dorade Trophy for vintage yachts over 25 years old. Grundy’s father purchased Grundoon, a Columbia 50, in 1968. “Wizard, a Volvo Ocean 70 owned by the Askew brothers, won the other lighthouse trophy—the Gibbs Hill Lighthouse Trophy. Finishing first on corrected time among the highest-performance boats of the Gibbs Hill Lighthouse Division, the Askews picked up their second major win in six months following a victory at the Rolex Sydney Hobart Race last December. David and Peter Askew are from Sandy, Utah and Riderwood, Md., respectively. There were 22 entries in the Gibbs Hill Lighthouse Division. 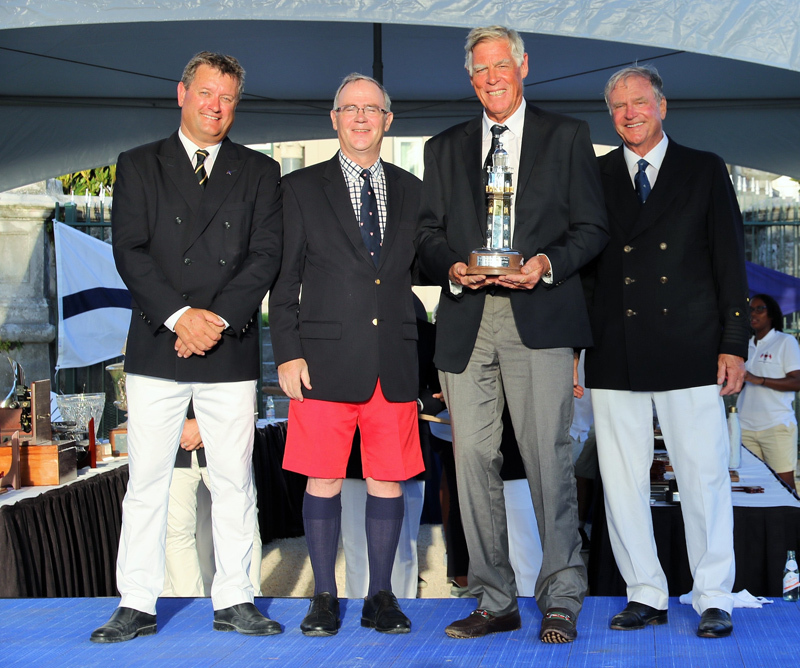 “Orca, an Island Packet 38 owned by Harold and Mary Guidotti, of Westbrook, Conn., won the Finisterre Division of 40 boats and received the Carleton Mitchell Finisterre Trophy. The trophy is named for the three-time winning skipper and his boat, which coincidentally was also 38 feet long. “Yankee Girl won the Philip S. Weld Prize for the best corrected time in the 15-boat Double-Handed Division. 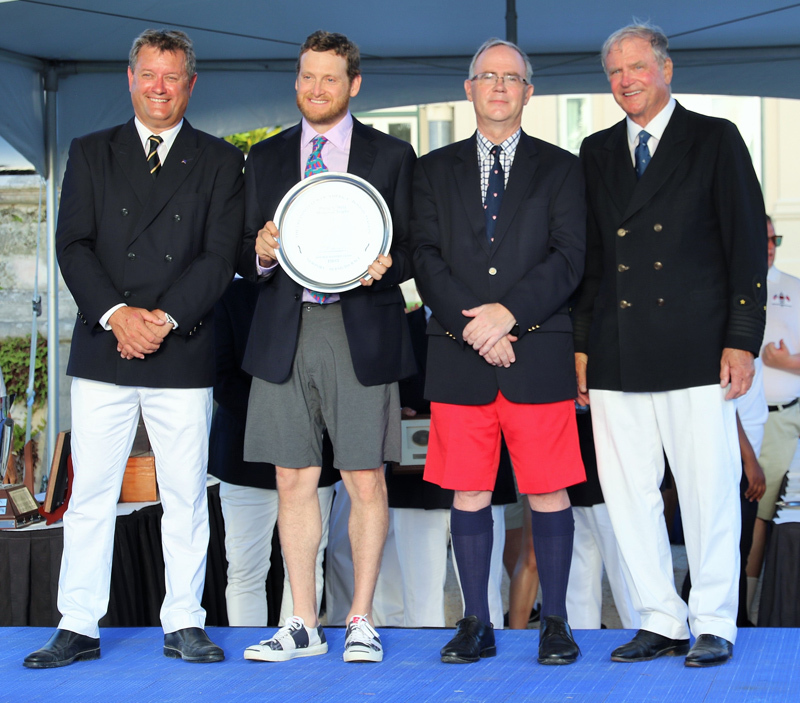 Skipper Zachary Lee of Vineyard Haven, Mass., accepted the prize, and his crew Leif Counter, of Pelham, N.Y., received the Moxie Prize, which is awarded in recognition of the other half of the winning double-handed crew. 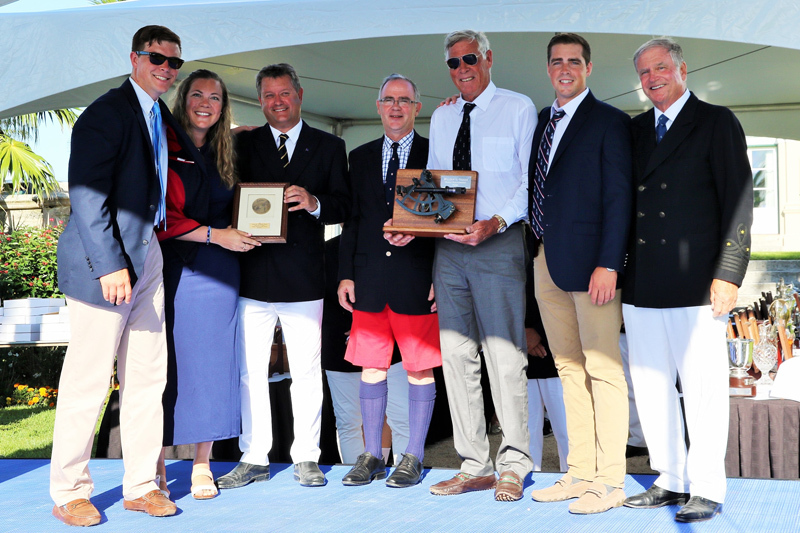 “The Swan 48 Dreamcatcher won the Stephens Brothers Youth Prize for the best performance by a youth division crew, with most of the crew between the ages of 14 and 23. The boat was entered in the race by the Mudratz, a youth-sailing non-profit organization in Eastern Connecticut. “Eric Best of Feo received the Cook’s Award for perseverance and fortitude in cooking for a racing crew longer than anyone else in the race. Skippered by Best’s daughter, Isabel, the steel Joshua 47 Feo finished in 146 hours, 54 minutes, 17 seconds, a little more than 96 hours after Rambler 88 became the first boat to finish the race. So glad that the Governor was welcomed.. So glad that the Governor was welcomed ! !